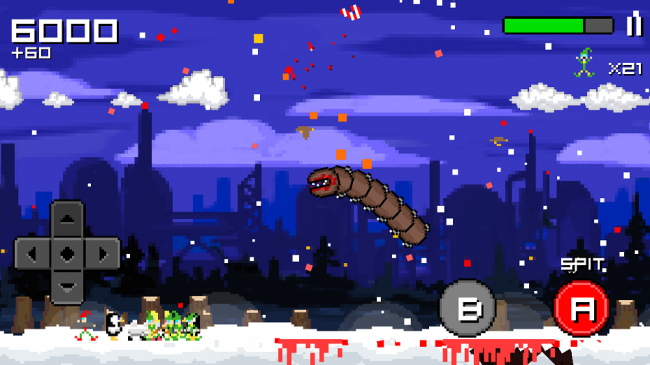 Literally just released to Google Play is Super Mega Worm Vs. Santa 2. It combines both excellent development with easy-on-the-eyes graphics. Basically, you’re a super mega worm who roams around the North Pole eating elves and reindeer. You have magical powers such as the ability to shoot fireballs at Santa and super speed while you dig through the ground, collecting bonus diamond points. I mean, come on! That’s just awesome. Stop reading and go play it already! Question of the Day: What Tech Gifts are You Hoping to Receive for the Holidays?